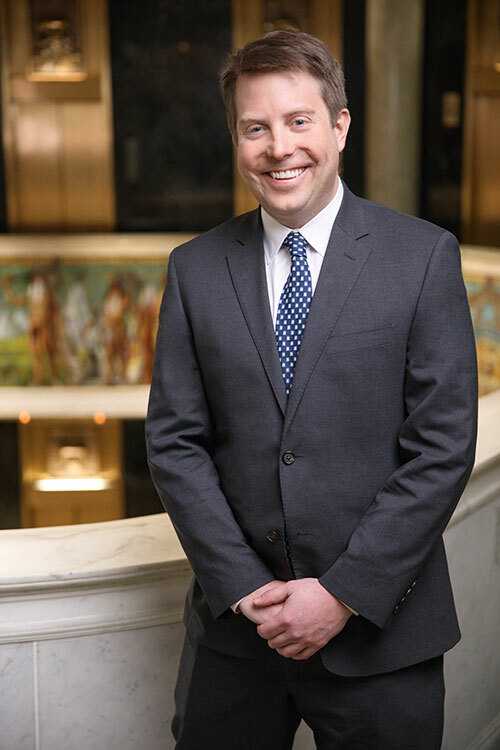 Prior to entering private practice, Patrick worked as career judicial law clerk to two justices of the Illinois Supreme Court, Chief Justice Thomas Fitzgerald and Justice Mary J. Theis. Patrick’s work for the Justices included a number of high profile cases, including a criminal case that was affirmed by the United States Supreme Court, Williams v. Illinois, http://www.supremecourt.gov/opinions/11pdf/10-8505.pdf. His career with the Supreme Court spanned from 2003 through 2011. He additionally clerked for Justice Theis at the Appellate Court of Illinois-First District from 2002 to 2003. The City of Chicago Department of Law hired Patrick out of law school. There, he prosecuted building owners from every part of the City in Housing Court, and defended the City in Chancery court. Patrick worked as part of a team of lawyers that worked on several cases that made local and national news. Patrick has also served on the adjunct faculty at Loyola University. Prior to going to law school, Patrick was a Legal Aid paralegal in the Jesuit Volunteer Corp., stationed in Yakima Washington. Counties of Focus: Cook County, Statewide Appeals. College: Georgetown University, 1995. Double major in Political Theory and Economics. Member: Rules Committee, Illinois Appellate Lawyers Association, Illinois State Bar Association; Illinois Trial Lawyers Association. Civic and Charitable Activities: Chicago Jesuit Academy—an institution dedicated to the education of young men on the west side of Chicago (Executive Member of the Junior Board); Lawyers United for the Homeless (Member); Illinois WolfPAC—an political action committee devoted to electing political candidates who are alumni of St. Ignatius College Prep (Judicial Outreach Coordinator); Loyola University College School of Law (Member); Franciscan Outreach Association (Volunteer); Young Professional Board of the Franciscan Outreach Association (past Executive Member & Volunteer).